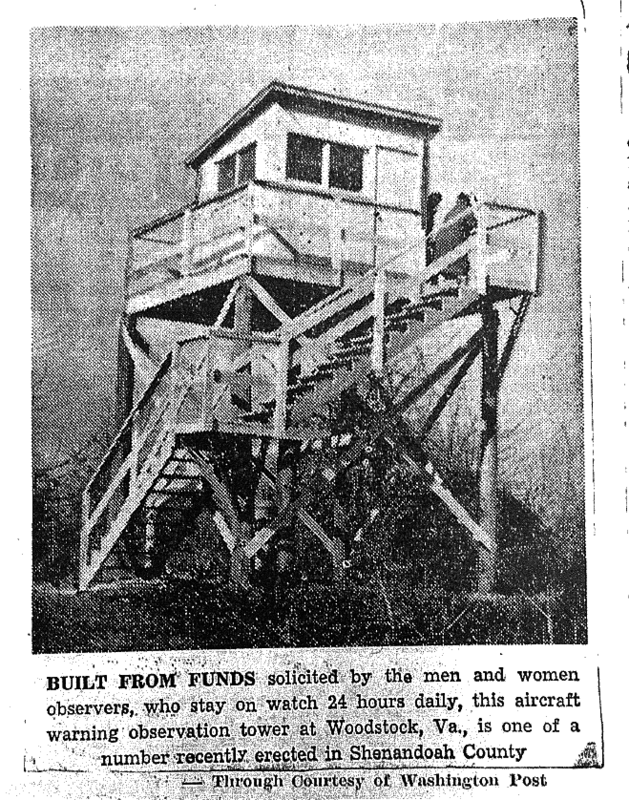 Newspaper clipping showing one of the observation towers built in Shenandoah County during the early part of World War Two. These sites were designed to watch for incoming enemy plans and to monitor US aircraft overhead. They were staffed by volunteer watchers. 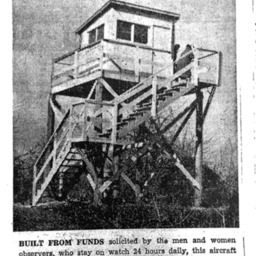 Shenandoah Herald, “"On Guard at Woodstock",” Shenandoah County Library Archives, accessed April 25, 2019, http://archives.countylib.org/items/show/5945.